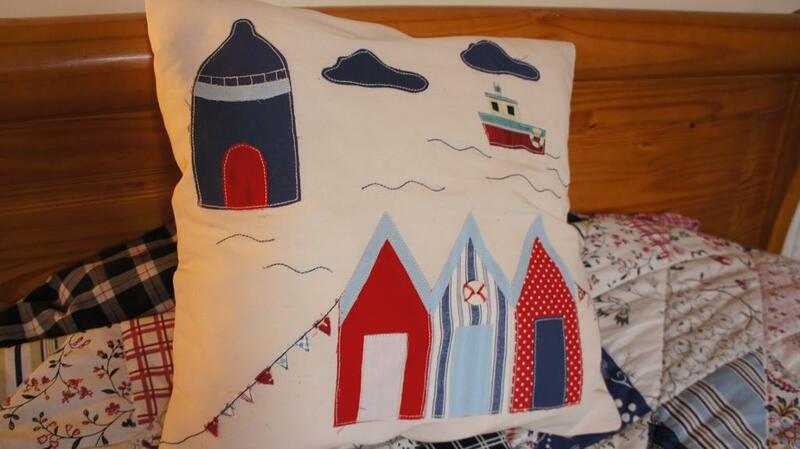 This nautical cushion is made using the rough edge applique technique. Totally easy and the template for the design is free. The nautical cushion instructions show you how to put the zip in too, but if that's too difficult, just use a different method of fastening. Read more about this nautical cushion here.